Example photo for many base sets and inserts. Includes a glossary of collecting/hobby terms and much more. Pricing for other basketball collectibles, including coins, cups and stickers. More than 375,000 individual cards and collectibles priced with a total value of more than $7.5 million. More than 375,000 individual cards and collectibles priced with a total value of more than $7.5 million . Set descriptions include distinguished features, key cards, distribution information - everything you need to become a basketball card expert. 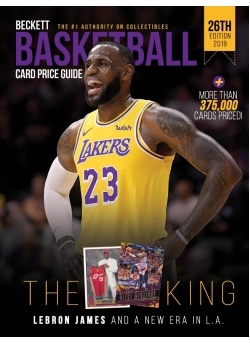 Complete checklists and pricing for every important basketball card set from 1910 to present, including products featuring your favorite NBA, WNBA, amateur and foreign players.